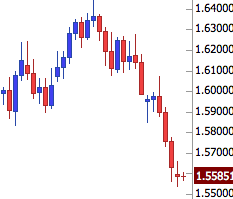 As I trade into 2013, I realized that my forex trading is slowly becoming a more mature system. As I meet other traders in the forum and as I trade to my 4th year, my system, from a go-in-go-out-fast trades to a more mellow slow but profitable and safe “lets open a trade and look at it next week” kind of trade. This I think is better than suffering the stress of day trading. But as I realize this, I might also be posting less and less because the trade have nothing to be excited about as I search for longer trades, traveling and searching for the meaning of life. And I don’t want to leave behind countless newbies who still stumble in the dark. I’ve been thinking of a membership club where I can teach them online one on one or a signal service that I could contact you should I have a trade opened and closed. 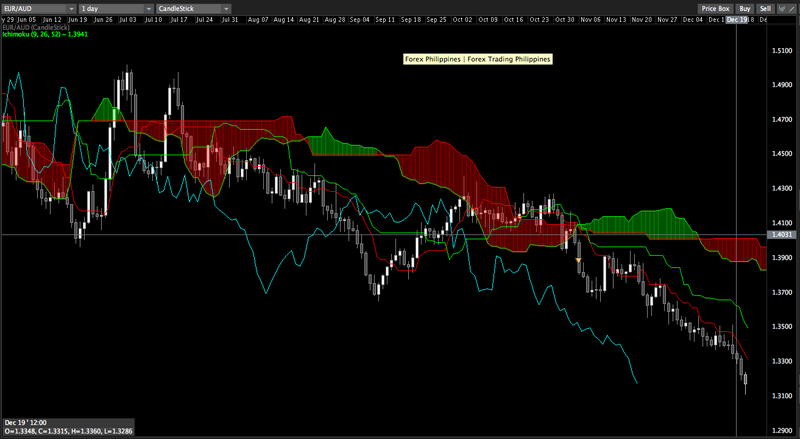 My analysis and opinion and of course open questions about how I trade and my indicator, ichimoku. Of course I don’t want to charge but I think that would not be possible as I would be employing people to develop a system like that, and I don’t want to be in the red zone since I don’t want to use the money for trading for this. What do you guys think? A signal service or a membership club or both? And how much are you willing to pay/comfortable paying? P.S. I think $99 is highway robbery. What a good day to do forex trading! I just woke up this morning and quickly checked the forex charts. I know many people will tell you that you should not trade on mondays because a lot of noise going on. But I’m still a new forex trader and just want to learn some experience. Hopefully, the trade I’m gonna show you will be profitable and we learn from each other. I’m expecting a bullish reversal up to later this day but not too much. Probably check it once in a while. I bought 3 lots of it. Why did I chose buy instead of sell? Because there is a fight in the price with is shown by the large pin bar. So I’ll expect it to go up. Not much though but I’ll post the results later tonight. Good night guys. I’m about to sleep and just to check my forex trade in the GBPUSD pair. Here is the chart now. 46.3 Pips or $1,389.00 Profit. Looking good indeed! Morning once again. At this point, I’m at -18.0 pips. And a new candle stick is forming. Based from yesterday’s chart, its not much of a difference and I’ll interpret it as something that the buyers and sellers are just equal. There will be a trend forming in the next or so candle stick and I’m expecting it to go up. 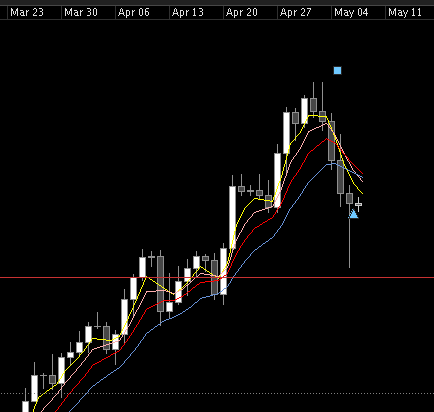 If not, I’ll just exit the trade if I get below my stop loss of -50 pips. Decided to close the trade. Its a profitable trade with 41.6 pips and $1248.54 profit. Making it simple. Is probably one of the most complex thing we have to discover. With a lot of indicators around, forex traders tend to think that the more indicators they have, the more money they make. 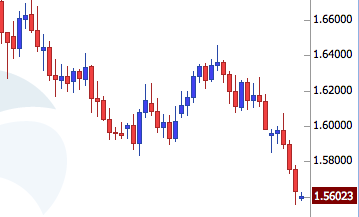 What is the difference between a forex trader with no indicators and a forex trader with indicators? The forex trader with NO indicators keeps it simple. Indicators tend to confuse forex trader when a lot of indicators doesn’t match. They tend to think too much and not rely on their own decision making to take a trade. 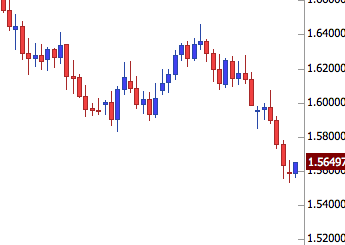 This is present among new forex trader where they will try every indicators available and use it. Up to the point where they get their first loss then drop it. A forex system will bring losses. It will bring winning trades. Some will have more losses than wins. It is ok. As long as the winning trades can cover the losses up to the point that you’re still profitable. A forex trader will have emotion. But must not be affected by it. This is what makes forex trading addicting. To constantly in the roller coaster ride. You know you are safe, but its still a death defying experience. With a profitable trading system, you know you will win but the price action still affects you. Where is my stop loss? Why do I take this trade? Can simply summarized by asking oneself of the reason for entry (evidence of a profit potential, a set up or confirmation signal), what’s your target profit and how much risk are you willing to make? These questions are simple. Three questions that a forex trader can answer easily. The problem lies to whether he can keep his emotion. Psychology plays an important role. Forex trading systems work. Banks use them to earn money. But its the person using it makes it possible to NOT to work. Hello there blog readers. Hello there forex trading colleagues. We have a flash news. 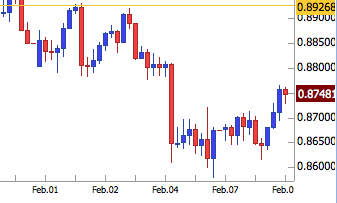 There’s a forex break out on EURGBP going to the downside. This could be a long term trend after waiting a few months for the currency pair to finish its corrective waves (consolidation). Keep your stops in check. This could be a big winner and a trend up to next year. What Makes Forex Trading Different? If you’ve been following my forex forecast and decided to take the trade with me, we are now at a +120pip profit at the time of this writing. Pretty good profit margin. But it is not what we’re going to talk about today. While I was lying in bed last night. I thought to myself. All indicators and all strategies are there on the internet, in books and in mentors. Why is it that there are only few people who are successful in forex trading. In the Philippines, I have not seen or met someone who is successful enough to get media attention. 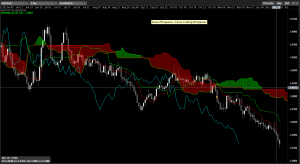 Is it really with the strategies or indicators that will make a forex trader successful? While I was reading a book about different kinds of forex traders. I noticed that most of them are doctors, retired military men or athletes. People who are tough mentally or knows psychology. 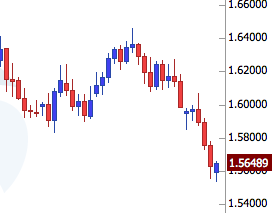 Maybe the thing about forex trading is its all in the mind more than it is with the indicators. Also, nobody knows what will be the future of the charts or when a trend will begin or end. Nobody really knows when a reversal will occur or a support and resistance will break or bounce. Nobody really knows. We only have indicators to tell us options of what may happen its still us that have to decide and take risks. So, the bottom line is… Its about risks. Risk management and money management. You only have to have a decent strategy that you’re confident about and apply money management principle to it. Take risks. We know from the start that forex trading is risky. Before we even know how the market moves. We know that forex is risky. So we have to be prepared to take risks. That aside, manage the risk with money management. These are my thoughts about forex trading. You may voice out your opinion in the comments section below. Today is a great day for me. Today marks the day where I completely eliminated all the losses that I have incurred while learning about forex. When I started a year ago, I tried to trade forex live. After practicing for a couple of months, demo trading, I gather up all the courage I could get and opened my first live account. During the course of the year, I accumulated a total of -$5,000. Yes… Negative… And today, I completely finally took back all the losses. I am up +$1,063 starting today. I hope this is the beginning of a wonderful trading life. And hopefully achieve my forex trading goal. After all that grueling experience. I would like to share to you a little knowledge I picked up while stumbling across the trading realm. There are only 3 important factors to be successful at trading. Notice that there are no trading strategy here or indicators. Not even entry strategy. It is because those 3 factors are what determines a successful trade. Because of them, my trade has been really good so far. I am using technical analysis when I am trading forex. Mainly candlesticks and moving averages. 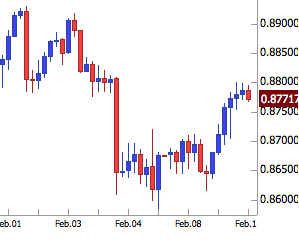 And yesterday, a beautiful pinbar reversal signal formed at AUDUSD. Looking to go Long on this one. For the aggressive trader, this is a good chance to go LONG. But for the more conservative type, you might want to wait for the next bar to close before entering your position. You want to confirm that the next bar is bullish to be on the safe side. Christmas is approaching and a gift of 650+ pips is better than any other gift I could receive this Christmas. 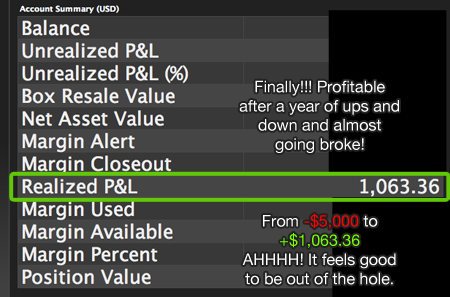 Yes folks, its the largest profit I got since I started trading. And this is real money. More than 650+ pips. I’m pretty much confident now with my system and I can already see my goal not that far away. You can see when I entered the trade indicated by a yellow arrow sign indicating a “short” trade. Lesson learned. I pretty much stumbled my way and doubted myself if I even have to pursue trading. I did lost a couple of money and thinking that the money lost is not really lost and just an educational expense much like a school tuition. I did think of giving up because of consistent losing trades. But there have been a lot of times in my life that when I was about to give up, that’s the time where you are about to succeed. This is a small success for me and a validation of my efforts and persistence to learn and study different systems and to figure out what kind of system is the right one for my personality. If you’re still struggling. Don’t give up. Lose only the money you can afford to lose. Don’t borrow money expecting to become millionaire. If you’re smart, you don’t need to borrow money. Don’t give up. Continue reading. You’ll get the hang of it. And most importantly, subscribe to my feed if you would like to be updated of what trades I take. Later pips. And Merry Christmas to all!